A PTO Driven Hydraulic Power Pack gives your tractor the power boost it needs to increase its versatility on attachments that are powered with Hydraulic motors. With the Power Pack you can now virtually use any hydraulically driven skid steer attachment on your tractor's front end loader. A 3-point Hitch tractor mounted Hydraulic Pump allows for a wider range of use for the operation of your tractor so you can keep the power flowing! With different pump options for a Rear PTO Hydraulic Power Pack on your tractor flow can be perfectly matched for the BrushCutt, BrushFire, Stump Blaster or any other brand you might already have. 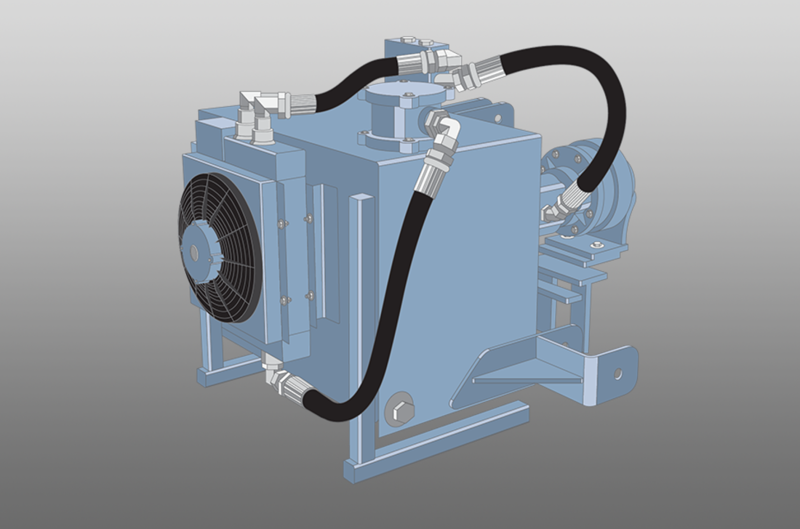 Contact us for more details, we are very open to customizing to your PTO tractor pump hydraulic needs.